It’s Here, Just In Time For Christmas! 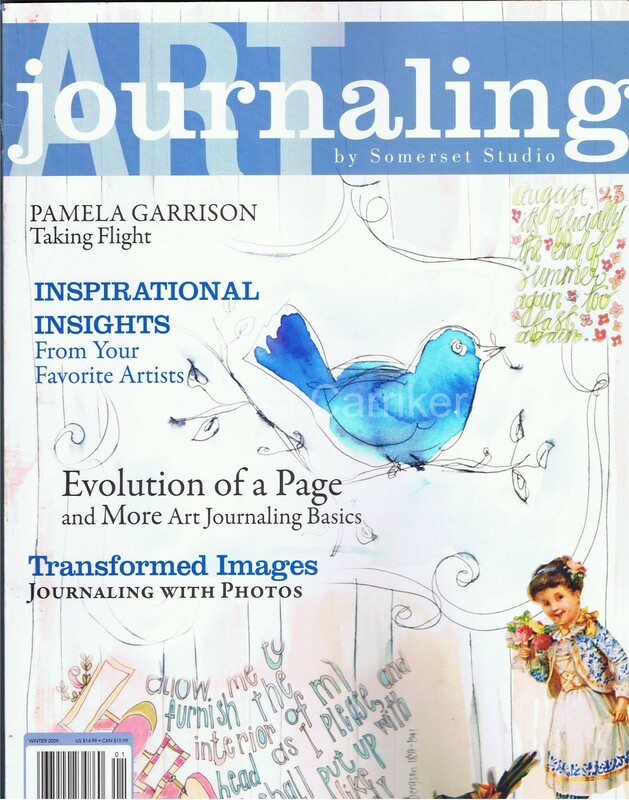 The wait is over, I finally received my advance copy of Somerset’s ‘Art Journaling‘! What a wonderful Christmas present. You will not believe the pages of this magazine. The editor sent out a little artists preview and I thought that was great, but these 144 pages are packed with the journal pages of 17 artists. It reads and feels like a book more than a magazine. I have only done a preliminary look-through and cannot wait for the plane ride tomorrow to see my family. I will have a few uninterrupted hours to read through the articles. I found it very touching that the pages they chose to use had special meaning to me personally. One was done in the hospital waiting room while my middle son was in surgery, one was late at night after waiting for my DH to come home only to find out he had missed the last flight out, a couple were about groups I belong to online, and one is about my journey in the land of the blog. It was only after this thought struck me that I realized that is what keeping a visual journal is all about. Capturing those moments, those feelings, with art as well as with words. I’ll share a little snippet with you, but you will have to wait until January 1st to see this amazing publication. Congratulations Pam! I received my copy and your spread is wonderful. The publication is truly excellent all around. How thrilling- will keep an eye out for it! Hope you have a lovely trip & Christmas! Congrats!!! I can’t wait to see it! I love your youtube demos…I’m really hoping to take your class in Jan.Hope you have a wonderful trip and a very Merry Christmas! (hopefully this isn’t a duplicate comment- something weird happened)i’m so pumped for yet another wonderful stampington publication! congrats!!! and can’t wait to watch your demo video- i’ve been wondering about the brush pens ever since i read your post about getting some. it’ll be great to see how they’re used. thanks! I sooooo hope my rinky dink town gets this publication in!! 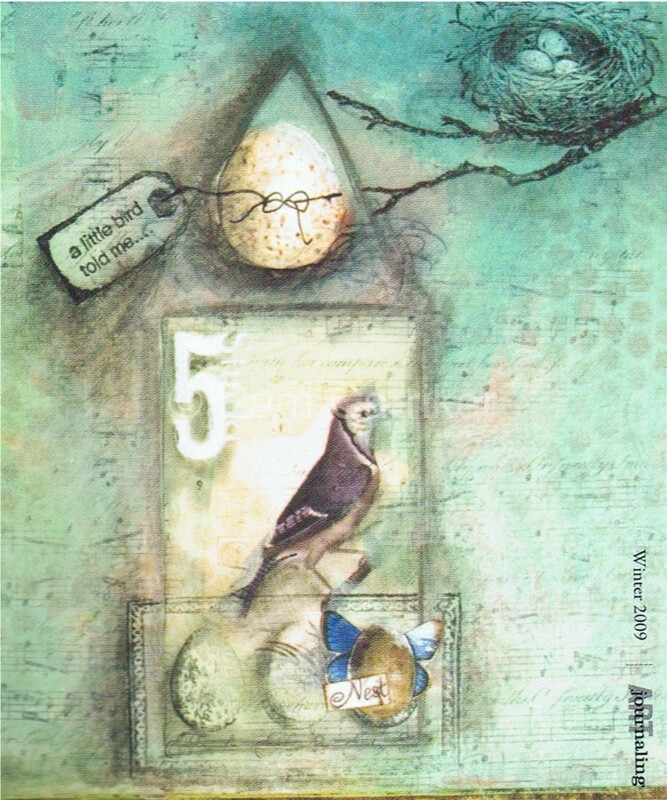 I’ll be anxiously awaiting my famous friend’s reads and artwork!Congrats to you, Pam–2008 has been a stellar year–wishing you even more prosperity and success in 2009!!! wonderful Pam…and that’s what I hope to learn in your workshop…a way to chronicle what’s important in my life….art that is all mine and not intended to sell. Have a wonderful trip, wedding and Christmas, sweetie !!! !and a happy dance all around for you !! I can’t wait to see it!!!!! Congrats to you Pam!